Since 1971, the United Nations Educational, Scientific, and Cultural Organization (UNESCO) has been partnering with the United Nations Volunteers (UNV) programme to promote international cooperation in education, science and culture. Some 69 UN Volunteers have served with UNESCO in 30 countries over the past ten years, supporting UNESCO’s mission to "contribute to peace and security by promoting international collaboration through educational, scientific, and cultural reforms in order to increase universal respect for justice, the rule of law, and human rights". Sustaining Livelihoods Affected by the Aral Sea Disaster is a Joint UN Programme of five UN Agencies (UNDP, WHO, UNESCO, UNFPA, UNV) and Government of Uzbekistan to improve the welfare of the most vulnerable groups due to Aral Sea ecological crisis in the Autonomous Republic of Karakalpakstan within Uzbekistan. 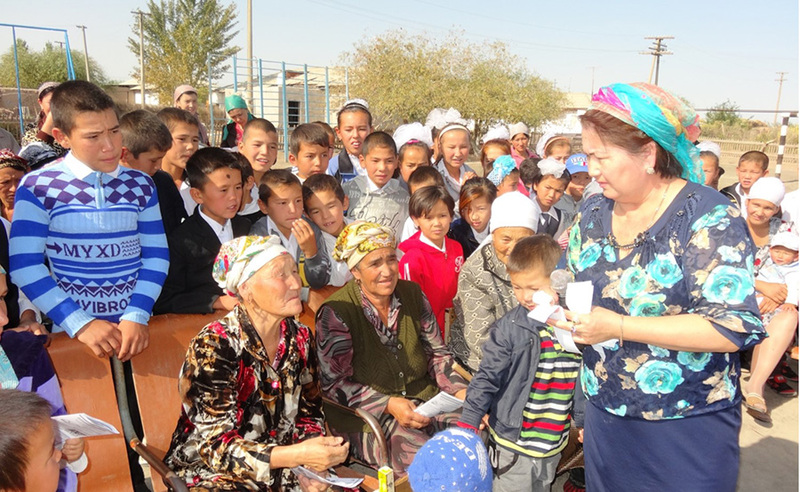 The health component of the UN Joint Program targets enhancing the capacity of primary health care workers to address the health consequences of the Aral Sea environmental disaster with a specific focus on needs of women and the youth. UN Volunteers are experienced personnel available to support UNESCO’s mandate to develop education systems that foster high quality and inclusive lifelong learning for all. UN Volunteers around the world advance progress towards UNESCO’s goals of building peace, eradicating poverty and promoting sustainable development and intercultural dialogue through education, the sciences, and culture. UN Volunteers contribute to a number of UNESCO projects, including the integration of youth and peace programmes to cultural preservation in Mali, generating open dialogue between youth and policy makers on education in India, and teaching communities capacity building methods to enhance livelihoods in South Sudan. Through their involvement at the community-level, UN Volunteers contribute to UNESCO’s objectives of empowering learners to be creative and responsible global citizens. They serve to eradicate poverty, promote sustainable development, and support UNESCO’s goal to initiate intercultural dialogue through education, the sciences, and culture. In 2017, UNV and UNESCO reaffirmed their commitment to the partnership by signing a new Memorandum of Understanding. Since the beginning of the partnership, more than 210 UN Volunteers have served in UNESCO’s projects.